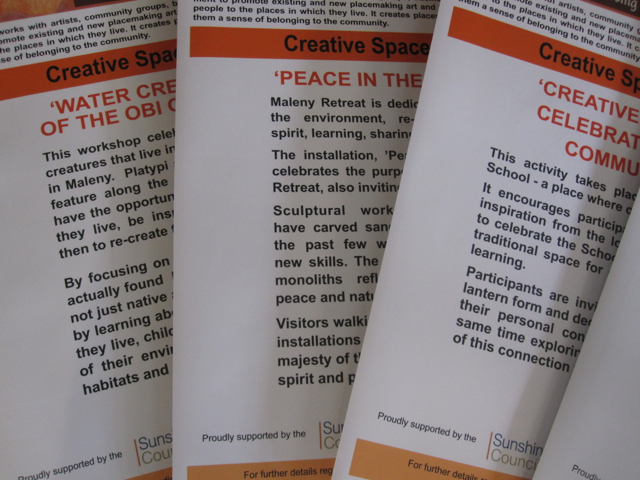 The first of the six Creative Spaces 2012 placemaking activities is to take place in less than a week on the morning of Saturday 15 September in the grounds of the Old Witta School. 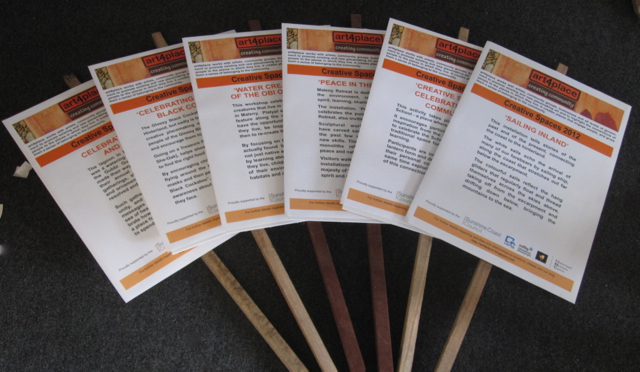 Kirsten Cash invites children and other community members to join her in a temporary placemaking activity called Creative Sparks - creating paper lanterns that will reflect and celebrate 'community and cooperation' that are at the heart of the community's use of the Old Witta School. It is time to roll out the Creative Spaces 2012 signs to let visitors and the local community know what and where the activities are taking place. Over the weekend the finishing touches were put to the Creative Spaces signs and story boards for each of the six activities. Creative Spaces 2012 is an artist driven and executed event - so each of the six artists will be putting their unique signs and story boards out to showcase their activity. 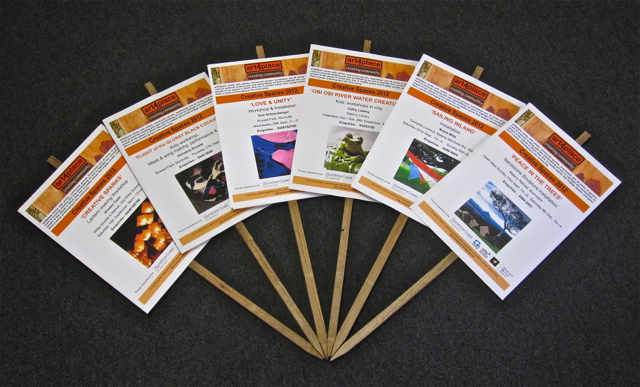 art4place has been fortunate to attract sponsorship from the Hinterland Business Centre and N-Carta Group for promotional material such as the the signs and story boards. An international development company, Coffey International, has provided 4 metre high art4place flags to attract the public's attention to Creative Spaces activities. 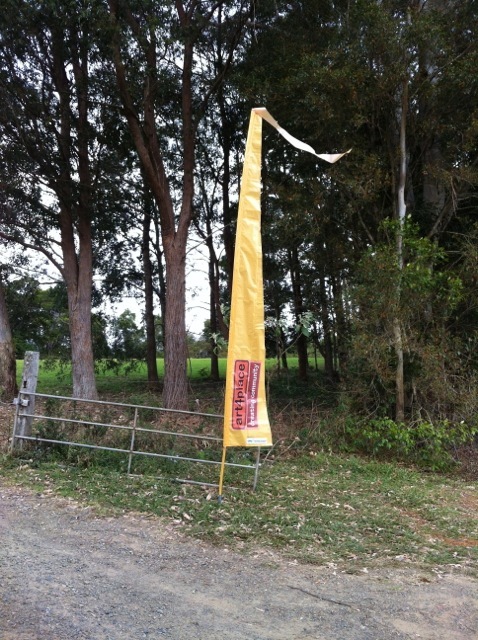 The flags are the symbol of the location of the six Creative Spaces activities across the Hinterland. An absolutely wonderful project...a credit to the artists and volunteers.